I have been sitting at my computer for quite some time trying to find a way to say that I am completely disgusted with the events that took place yesterday at the Boston Marathon. These people are true athletes. It takes so much to train for a marathon and for most it takes even longer to qualify for this particular marathon. Many runners dream of running the Boston Marathon just once in their lifetime. It is a great honor to run that race. These runners sacrifice not only time, but their bodies as well. It is not an easy task to run a marathon. Not to mention all the support of family and friends. These people who line the race have watched their loved ones go through so much to get where they ended up and not one of those people deserved to experience the horrifying moments that took place. My heart goes out to all those who were effected by yesterdays explosions. I feel almost silly posting a recipe for breadsticks when so many are suffering. 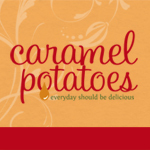 But I know that is the real reason you read our blog, you want good recipes that your family will love. So here is one that is sure to please just about anyone. Yes, it is true these breadsticks are so fast and easy. There is no rolling and shaping. You really can’t go wrong with this one. 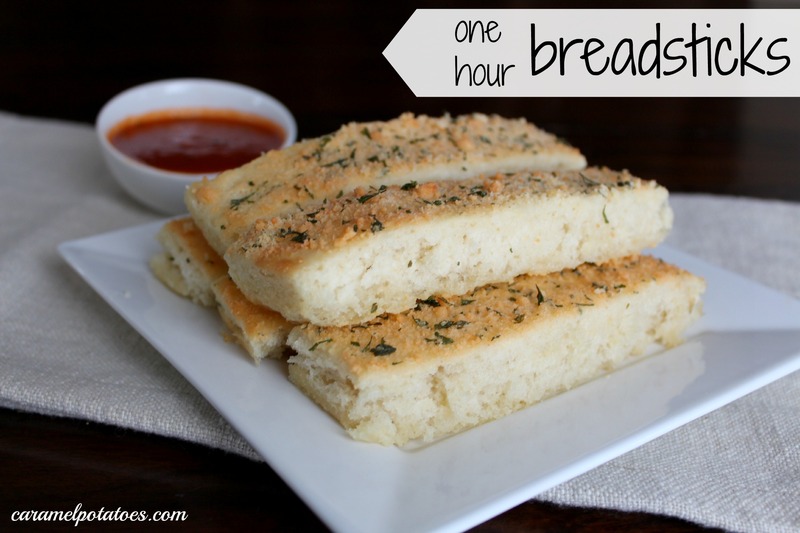 Having fresh-baked and delicious breadsticks in one hour is incredible. At my house, whether it is spaghetti, chicken spaghetti, or anything else with a tomato based red sauce, my family expects there to be bread of some kind. I once made the mistake of making spaghetti with out some sort of breadsticks, garlic bread, french bread, and you would have thought I had committed some outrageous crime. It doesn’t have to be homemade, but if it is I get bonus points. So being able to make bread in just one hour saves me on so many nights. Want a perfect appetizer for movie night, game day or parties? You’ll score big if you make these bread sticks and Pepperoni Pizza Dip! Preheat oven to 200 degrees. Dissolve yeast and sugar in warm water and let sit until yeast begins to get foamy, about 5 minutes. Add salt and flour 1 cup at a time. Mix, using a dough hook until well incorporated. Melt 1/4 cup butter and spread into a large jelly roll pan. Roll bread dough out on a lightly floured surface until about the size of your pan. Lay dough into pan on tp of butter and press out to the edges as best you can. 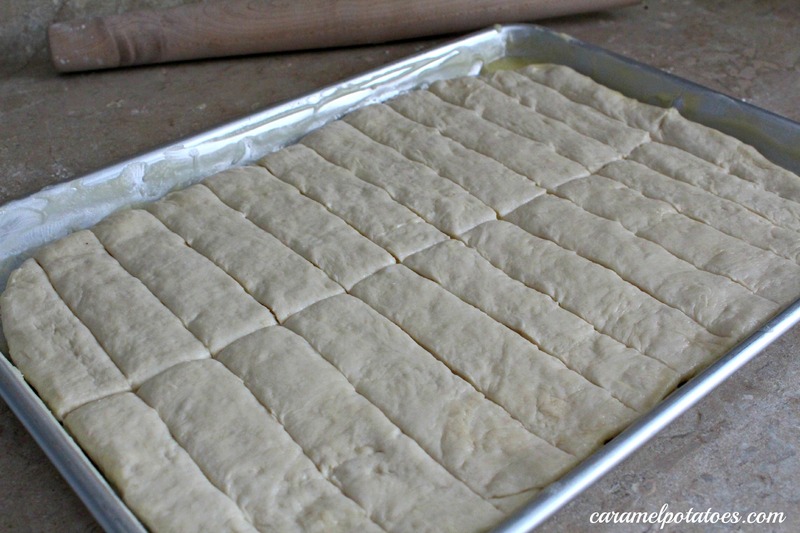 Cut dough into strips. TURN OVEN OFF and place bread inside warm oven until doubled in size, about 30 minutes. Remove pan from oven. Preheat oven to 400 degrees. Combine parmesan, garlic salt and parsley in a small bowl and set aside. Melt remaining 1/4 cup butter and lightly brush on dough with a pastry brush. 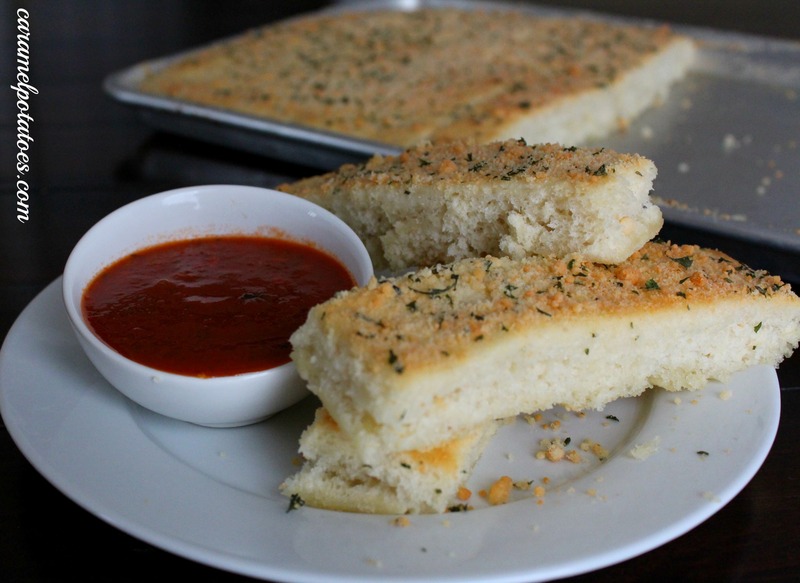 Sprinkle parmesan mixture over top of breadsticks. Bake breadsticks at 400 degrees for about 10 minutes or until golden brown. Redefine cutting lines with a knife or pizza cutter. Jocelyn, I may be on the other side of the world but we are all affected by the events at the Boston Marathon – so random, so horrible. Thinking of all my friends in the US today. Hello! Found this in Pinterest. Loveeee these! They are so much quicker than the homemade I normally make, and I prefer the taste as well. Great recipe. Thank you! I notmally don’t comment on blogs, but I just wanted to say that this is my go to bread. Any time my family has pasta, you can bet this will be the bread I’m serving with it. Great recipe and so easy! Thank you for an awesome recipe.